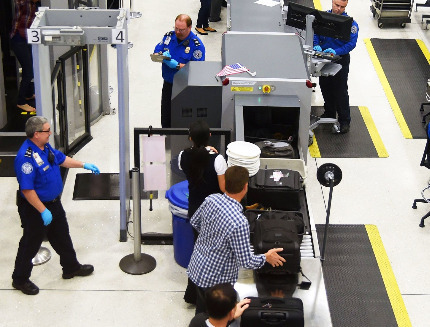 New York area airports have rolled out a new tracking system which gives passengers real-time information on TSA screening and taxi wait times. It is now available at Newark Liberty International, JFK, LaGuardia, and New York Stewart International airports, except for United Airlines’ Terminal C at Newark which will be implemented later this year. The real-time data is displayed on screens at the airports and on the airports’ respective websites. It will help passengers plan for potential disruptions as well as allow airport agencies to funnel more resources to areas experiencing longer wait times. “With this real-time data posted on each of the airport’s websites, wait times are now readily available to help reduce passenger stress,” said Port Authority executive director Rick Cotton. The system also monitors congestion and shortages of taxis at the terminals.